You know things are deteriorating when you are regurgitating conspiracy theories to justify your boss’s obsession with weakening the First Amendment. That’s how much Sarah Sanders earns a year as White House Press Secretary. She joins 23 other White House employees in that top salary bracket. That means this is also how much she is paid to spread lies to the American people and peddle conspiracy theories on behalf of the president of the United States of America. Sanders has had her current job for a little over a year. But it’s become increasingly clear that there are very few limits to what she will do when it comes to making excuses for her boss. 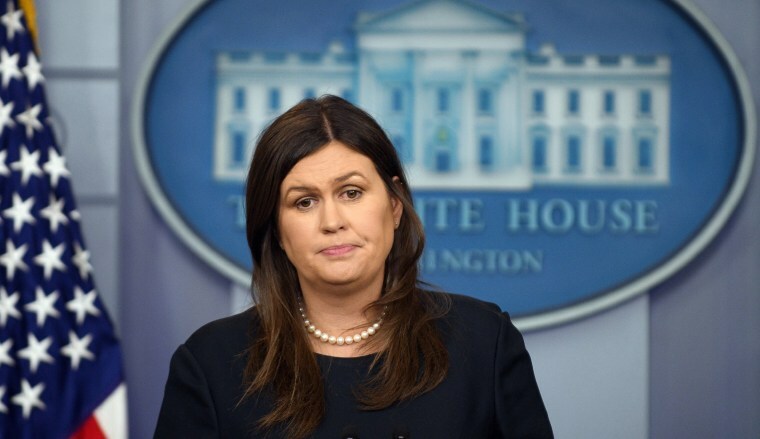 Being the press secretary is a difficult job in any administration, but Sanders continues to lower the bar when it comes to falsehoods and obfuscation, in the process undermining the Bill of Rights not to mention the integrity of the Trump White House. There are two problems here. The first is that Sanders was using this anecdote to deflect very real and very fair questions about the hostile environment reporters have had to deal with during Trump rallies. The second problem is that this anecdote is, as the Washington Post’s Glenn Kessler wrote back in 2005, an “urban myth.” Osama bin Laden’s use of satellite phones to communicate with aides was reported back in 1996, in Time magazine. When another story reported on the satellite phone use, bin Laden himself was the source for the piece. So Sanders was using a fabricated conspiracy theory to try and dodge responsibility for the venom now directed towards the free press — venom echoed and too often encouraged by the president himself. This is the logic of a small child — you think we did something bad, well what about what you did? And in the process, she is using the specter of one of the most hated men in the world to manipulate the American people into hating journalists. I spent the better part of a decade working as a spokesperson for various members of Congress and campaigns. I understand how you can start to see the world as “us vs them,” without stopping to really question whether you are doing the right thing. The constant 24/7 nature of the political media cycle leaves very little time for reflection and self-assessment. You spend every moment of every day fighting to get your team’s message out, responding to a growing volume of inquiries and just trying to keep your head above water. It is not an easy position to be in, even in the best of circumstances. I honestly cannot imagine what it would be like in this White House and in this toxic environment. And yet, at the end of the day, you still have to live with yourself and live with the messages you convey. Nothing is worth losing your own self-respect or betraying your moral compass. An extraordinarily disappointing moment by @PressSec just now... Her inability to acknowledge the role POTUS has played in all of this media bashing only hurts her own credibility...She had a chance to defend the institution and take the high ground and show leadership, instead..
It’s the dilemma I faced a few years ago when I was consulting for Breitbart. Ultimately, it was clear to me that the site was heading down a path that I could not, in good conscience, enable. It would have been very easy for me to just say I was doing my job for a client and keep cashing those checks every month. It’s by and large what most people in Washington D.C. do every single day. Still, I found a line I could not cross. Choosing to walk away forever altered the entire course of my personal and professional life. Sarah Sanders is now at a similar crossroads, whether she realizes it or not. You know things are deteriorating when you are regurgitating conspiracy theories about Osama bin Laden to justify your boss’s obsession with weakening the First Amendment. Simply put, Sanders is reaching a point of no return; in fact, she may have already passed it. The question she needs to ask herself is $180,000 a year worth the damage she is doing to herself, the free press, the institution of the presidency and ultimately, the country at large. Kurt Bardella is an NBC News THINK contributor and a former spokesperson for Reps. Brian Bilbray, R-Calif., Darrell Issa, R-Calif., Sen. Olympia Snowe, R-Maine, the House Oversight and Government Reform Committee and Breitbart News. Follow him on Twitter: @kurtbardella. 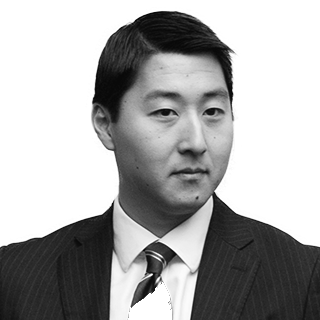 Kurt Bardella is an NBC News THINK contributor and served as the spokesperson and senior advisor for the House Oversight and Government Reform Committee from 2009-2013.